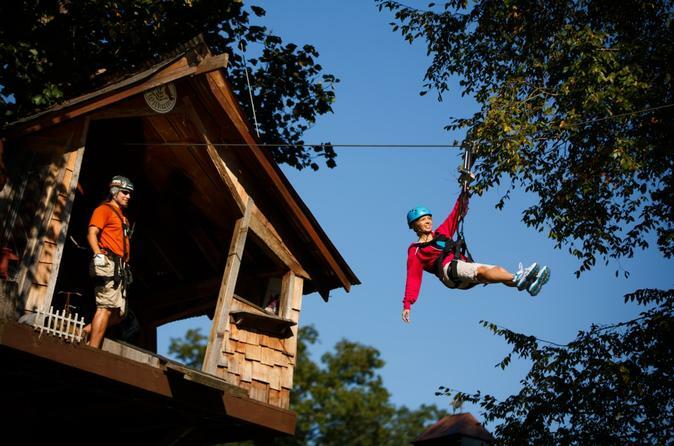 Soar through the sky on the Waterfall Canopy Zip Line Tour at Foxfire Mountain Adventure Park. Soak up the natural beauty of the Great Smoky Mountains on this zipline course that features seven lines and two sky bridges. The Discover Foxfire activity pass is also included so you can enjoy more of the park on your own.